You must be a member of the Munich Sailing Group to attend this activity. Would you like to join this group? 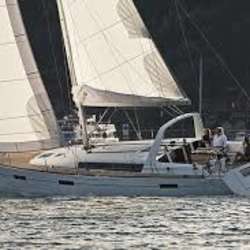 2 week sailing cruise in the south of France aboard a Beneteau 45 with an Aussie Skipper, (Internations) rough costs without food or alcohol about Protected content person per week. Plan is to sail the coast, visit the islands and some of the well known ports along the way. Swimming, snorkelling, red wine and music also a must!